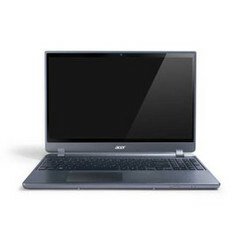 Acer has recently unveiled their new Timeline Ultra M5 Ultrabooks which starts from a range of $679.99. They have also announced that these devices can be later upgraded to Microsoft’s upcoming Windows 8 Pro platform for $14.99. These devices are expected to arrive to the US market by the end of June. The model of the Timeline laptop which is available for $679 is basically powered by a Sandy Bridge processor while there are other two models of Timeline which are offered at a price starting from $779.99. These two Ultrabooks are powered by the latest Intel’s Ivy Bridge processor and comes with two screen sizes of 14inches and 15.6inches. These devices are currently powered by Windows 7 Home Basic, Premium, Professional or Ultimate but as they have announced, the users will be later be able to upgrade them to Windows 8 Pro by purchasing the upgrade from Microsoft’s website. Although there has not been any official confirmation of the release of the Windows 8, but Acer has made this offer valid till Jan 31 of 2013, hoping the platform to get released in due time. The 14inch model is called as the Timeline Ultra M5-481TG-6814 is powered by Core i5 3317U processor with a speed of 2.6GHz. This device also sports an NVIDIA GeForce GT640M LE graphics card. This model is priced at $779.99. While the Timeline Ultra M5-581TG-6666 with a 15.6inch screen and a similar processor is priced at $829.99. These devices include other specifications as two USB 3.0 ports, 1.3MP camera and up to 500GB of Hard Drive. They are also equipped with an anti-theft feature. These systems are expected to provide a battery life of about 8 hours.